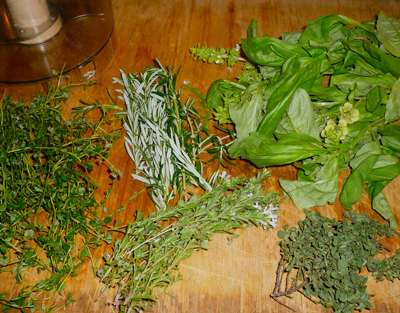 My friend Holland has a wonderful herb garden and she was cutting the last of her summer herbs. I got a huge variety of herbs; lemon basil, thyme, rosemary, two types of oregano, savory, sweet basil and lemon thyme. My car smelled so good when I drove home! She lives close to me, so I almost took a detour just so I could keep that incredible fragrance in my car! 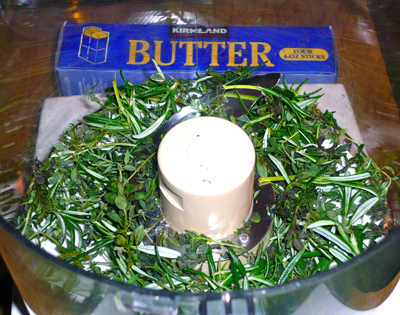 With the holidays right around the corner I knew those herbs would make some great compound butter. 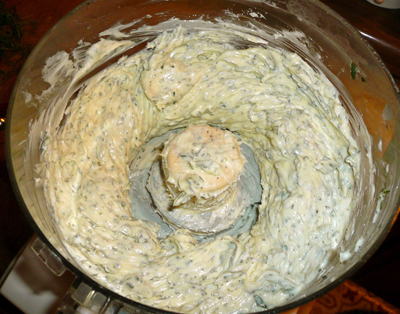 Chop the herbs roughly in the processor. 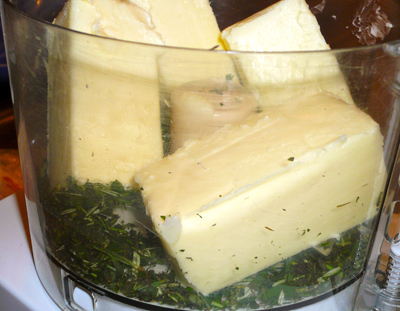 Add the butter and process until smooth. You will have to stop the processor a few times, and scrape down the sides. 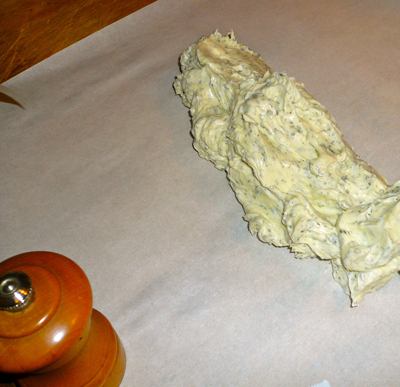 The butter will be soft and smooth when done. 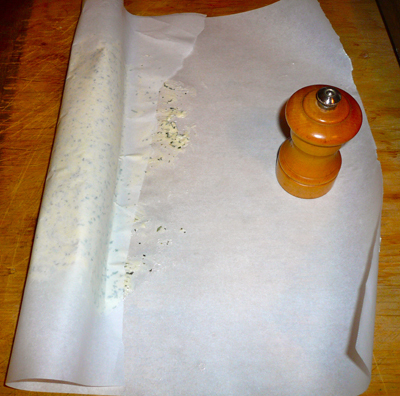 Just getting my winter herb garden up to speed and this recipe will be a perfect use for those trimmed off shoots. Thanks for all the great pictures!!! Great tips and excellent flavours! Injections…nice! And I so agree with using a brine. I brine my turkeys also, though I did not mention that in the post. Was saving that for a turkey roasting post! I’ve taken similar butter and herb combinations and melted them, then injected it between the skin and flesh of the bird, also injected it into several areas of the breast meat, and between the wings, thighs and legs too. Also, another way is to brine the turkey in a salt and beer brine for several days. Talk about moist! OK, I admit it. I just love butter! Seriously, I love the flavor, tenderness, and the incredible brown and crispy skin you get when you use butter. I don’t know Cheryl — I roasted a turkey yesterday, it was a damn fine turkey and there was no butter involved! I’m going to post it on my blog sometime this week. This compound butter does look fantastic though — would be great on a steak!